Oleg Sentsov's doctor visits his patient every day; he, the Russian prosecutors and the Federal Penitentiary Service workers ask the Ukrainian to stop his ongoing hunger strike that has already lasted for over a week now. Sentsov's sister Natalya Kaplan told that to Hromadske Radio. According to Kaplan, a doctor came to see Oleg on May 22. 'He says his condition is stable. Oleg is now in a cold cell, and they increased the heating level in it. The prosecutors and penitentiary service workers visited him and asked him to quit starving. But he stands his ground like he did before', she said. The penal colony staff, Kaplan hopes, will be watching the health conditions of the Ukrainian movie maker. 'The lawyer will see Oleg next week. No one else is allowed to see him for now', she concluded. Earlier, Sentsov told his lawyer Dmytro Dinze he prepared his body for this step for two months, and now he is ready. He also wrote the respective appeal, which was later made public. Dinze warned him he could face irrecoverable damage to his health. 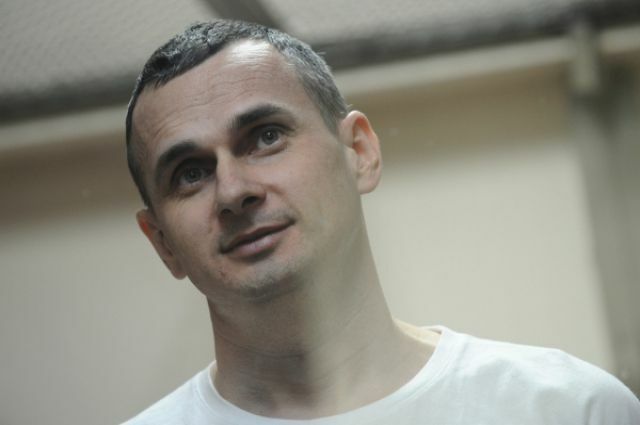 In turn, Sentsov said he was ready to die if his demands are ignored. In March, Ukraine's foreign ministry demanded that Russia release Sentsov due to his worsening health conditions.